Property 1: The Transit Lounge near airport and city. 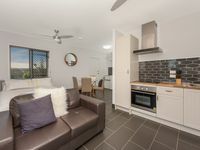 MODERN TOWNSVILLE LUXURY - SPACIOUS 3 BR APARTMENT! Property 12: MODERN TOWNSVILLE LUXURY - SPACIOUS 3 BR APARTMENT! Number #1 on The Strand - Central to everything: the beach, pubs & restaurants. Property 13: Number #1 on The Strand - Central to everything: the beach, pubs & restaurants. MODERN LUXURY STONES THROW FROM THE BEACH 6 PERSON SPA!!!! Property 15: MODERN LUXURY STONES THROW FROM THE BEACH 6 PERSON SPA!!!! Property 20: Sea~renity, holiday home right on the beach! Secure private room, own bathroom, TV, free WiFi, pool and close to beach. 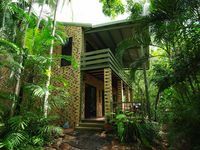 Property 39: Secure private room, own bathroom, TV, free WiFi, pool and close to beach. A very comfortable and clean unit. Will stay again. Great for the business traveller. Handy to airport. Easy parking. Ticked all the boxes. Avalon is a unique and very cosy home to visit. My family and I enjoyed our stay intensely.